An American Christmas Carol is a 1979 American made-for-television fantasy drama film directed by Eric Till and based on Charles Dickens' 1843 novel a A Christmas Carol. 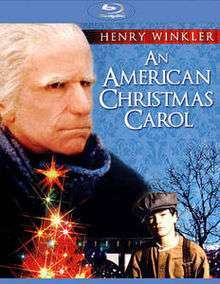 An American Christmas Carol was released on DVD on November 23, 1999. It was released on Blu-ray in December 2012.